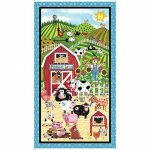 A kit of 4 fat quarters of matching fabrics from my Patchwork Farms fabric line to assemble your mug rug. This makes a wonderful gift for your embroidery buddies. 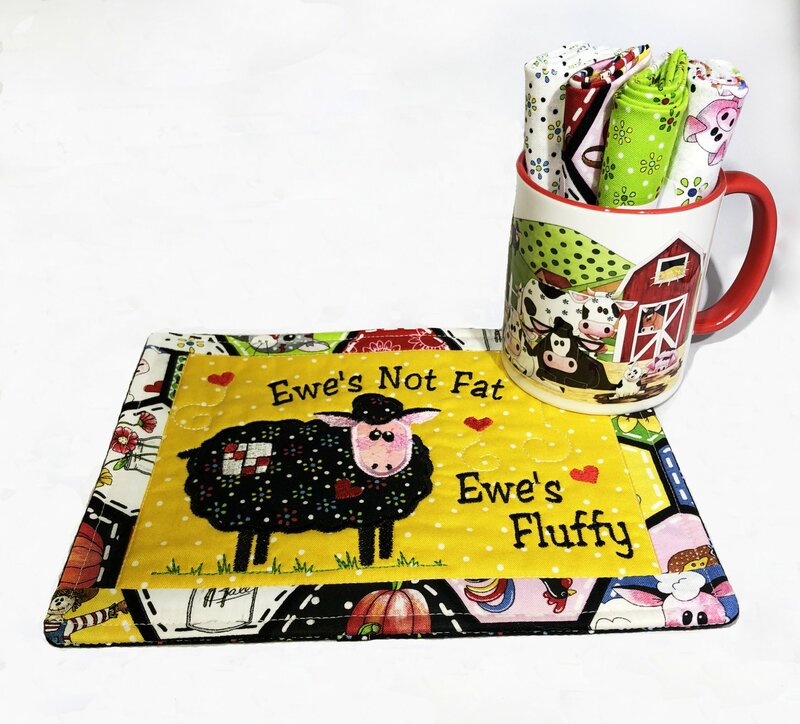 Just add a tea bag or pack hot chocolate to complete your gift!